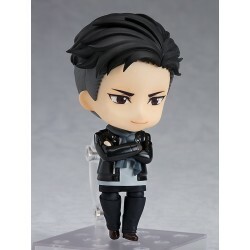 From the popular anime series "YURI!!! 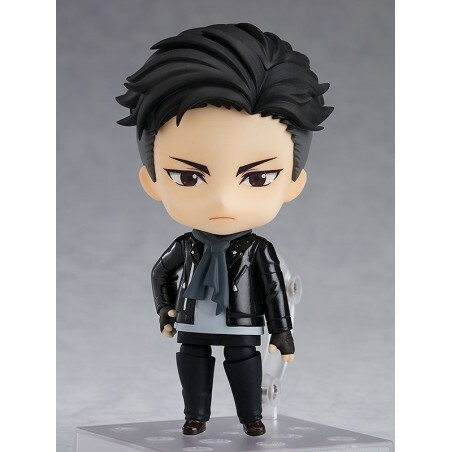 on ICE" comes a Nendoroid of the figure skater considered a national hero in Kazakhstan, Otabek Altin! He comes with three face plates including his standard stoic expression, a smiling expression as well as the chibi expression that occasionally appeared in the series! 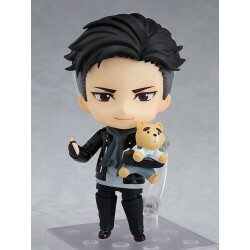 Optional parts include his motorbike helmet for him to hold as well as the teddy bear from his free skate costume! 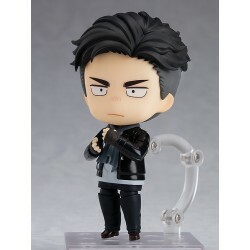 He also comes with a variety of hand and arm parts allowing for various poses from the series!